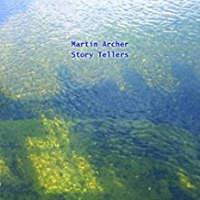 British multi-reedman Martin Archer is a cunning maverick who exploits the seemingly limitless expanse of progressive jazz, electronica and improvisation, evidenced by his hearty discography, performing as a solo artist or when collaborating with many of his peers. 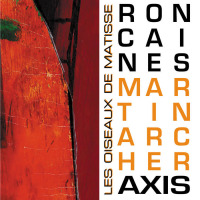 Moreover, this large ensemble's second album is influenced by the Chicago, IL based, Association for the Advancement of Creative Musicians (AACM), founded in 1965 by pianist, composer and supreme improviser, Muhal Richard Abrams. AACM yielded modern era icons such as reedman Anthony Braxton, trumpeter Wadada Leo Smith, the Art Ensemble of Chicago and other notables. 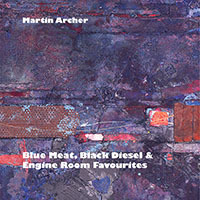 Yet Archer raises a good point by stating, "The appeal of this style to me is that it remains considered, spacious and open, without sacrificing any of the improvisational heat and energy which places its exponent players firmly in the avant-garde tradition." Hence, the ensemble engages a cornucopia of motifs and stylizations, embedded within a sprawling improvisational quotient, inherently consistent within AACM's unbounded frameworks. With frenetic sax soloing, angular strings motifs, and breakouts into sub-groups amid some good-natured mayhem, evidenced on "A1Song for Alice Coltrane" and other tracks, they also incorporate subtle melodies into the mix. However, the musicians parallel AACM activities via a thirst for free-form adventurism, tinted with polytonal contrasts, partly due to the breadth of instrumentation the ensemble has to offer. They explore abstruse perspectives, crackling thematic incursions and a little horns initiated bump and grind movements, fast-tracked by passages where all hell breaks loose. But on "A5Song for Mary Lou Williams, they execute a slowly paced blues groove, amped by Graham Clark's muscular and soaring violin solo and dappled by vibraphonist Corey Mwamba's sleek phrasings. 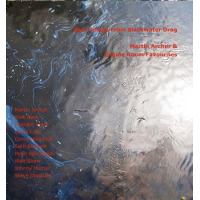 Here and throughout, the band intersperses garrulous phrasings, augmented by Archer and Mick Beck's wily sax parts, occasionally leading to torrential downpours of sound. 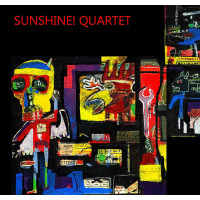 Indeed, it's a multidimensional program, evidenced by the Latin inspired modern jazz piece "Satin Lantern (Salsa Dura)," and other tracks spanning both discs. The lengthiest piece "B1You Will Never Know" skirts the minimalism realm with seamless journeys into parts unknown, featuring avant-chamber passages, subdued melodic content; moments of angst and sax-based plaintive cries that counteract the sinuously designed ebbs and flows. 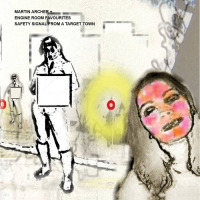 It's a rewarding aural experience proving once again that Archer and associates excel when thinking outside the box and by welcoming risk with open arms. Track Listing: A1 – Song for Alice Coltrane; A2 – Bad Tidings from Slackwater Dog; A3 – New Intruder; A4 – Downtown and Uptown: A5 – Song for Mary Lou Williams; A6 – Satin Lantern (Salsa Dura); B1 – You Will Never Know; B2 – The Hard Blues. Personnel: Martin Archer -sopranino, alto & baritone saxophones, bass recorder, bass clarinet, bass harmonica; Mick Beck: tenor saxophone, bassoon; Laura Cole: piano; Corey Mwamba: vibraphone; Graham Clark:-violin; Seth Bennett: double bass; Peter Fairclough – drums and percussion; Walt Shaw: drums and percussion; Johnny Hunter: percussion; Steve Dinsdale: floor percussion.